we may live more fully this vocation to love. in our home and in the faith we profess and live. to holiness as a family. unity of the Holy Spirit, one God forever and ever. 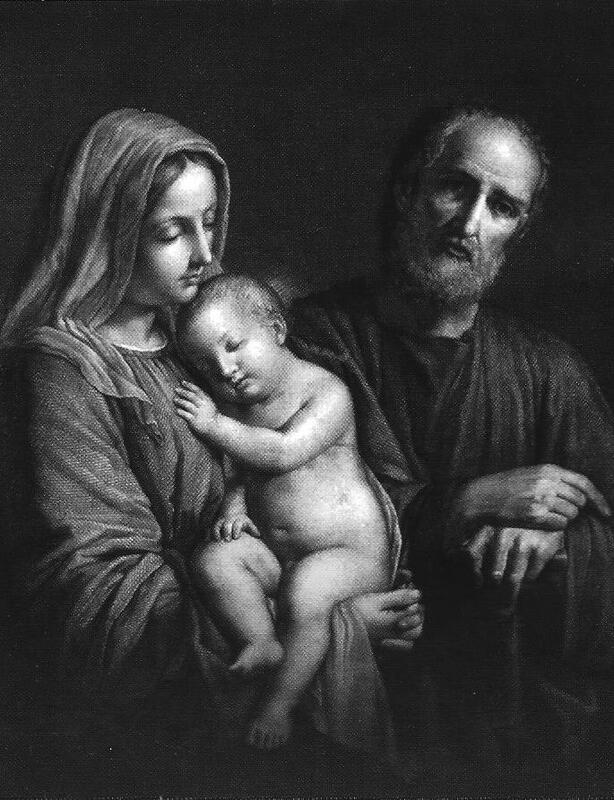 The cover image of the Holy Family is a drawing of Giovanni Balestra, based on a painting by Sassoferrato. The original print is housed at the Pontifical John Paul II Institute of Studies on Marriage and Family in Rome. I am sending this "spiritual" update to all those individuals who actively support me in my vocation to the Catholic priesthood, especially by prayer. I just wanted to give you an update two recent and very formative experiences in my spiritual life. I arrived in Arizona in late February and immediately begin an internship at Our Lady of Perpetual Help parish in Glendale, on the west side of Phoenix. OLPH is a medium-sized, mostly Hispanic parish in a lower-middle class area of the city. During my three months there, I learned very much from the pastor, Fr. Mike, a dedicated and experienced priest. Not to mention one of the better administrators I've had the opportunity to work with in any setting (corporate, non-profit and ecclesiastical). I also enjoyed spending time with Fr. Mario, a Mexican priest who also lived and worked at the parish. And then there was the wonderful staff at OLPH, which has a school with around 400 students. Getting to know the students and working with the youth group was a very rewarding experience! Parish life is fantastic. I got a better sense for the many challenges but it seems very rewarding. The people make it so. I found frequent interaction with priests, deacons, staff, students, servers and laypeople to be very enjoyable. I can envision myself serving in the Glendale area someday, though Spanish-speaking Catholics are also very well-represented in Phoenix and Mesa. I had the opportunity to make some visits to the diocesan headquarters downtown and a local Spanish Catholic radio station. I'm happy to say that the Diocese of Phoenix is starting to feel more and more like home. I was originally set to spend the entire summer at that parish, but Bishop Olmsted asked me to apply for a ten-week summer program for diocesan seminarians at the Institute of Priestly Formation (IPF). IPF, based at Creighton University in Omaha, Nebraska, was created nearly 20 years ago as a program to assist bishops in the area of formation for candidates for the priesthood. I arrived at IPF in late May along with three other seminarians from Phoenix and was joined by 167 seminarians from 67 dioceses around the country (attached is a picture of us all). It was great getting to know some of my new DBs (diocesan brothers), as well as so many great guys from other dioceses. A variety of ages as well, which was a relief to this 33-year old "elder" seminarian with a bit of ways to go before ordination (God willing). I came into IPF with two principal desires - to improve my prayer life (which I regarded as rather lacking in discipline) and to receive more confirmation from God regarding my recent decision to switch to diocesan priestly formation. I had already received a lot in the prior months but I guess I was a little greedy for more. I received more than I bargained for on both counts! Diocesan priestly spirituality builds on a renunciation of this world, with all its goodness and all its allurements… Through an ongoing, graced, expansive experience of God’s love, a whole shift of an individual’s center of gravity occurs. Gradually more and more identified in God’s love alone, the priest experiences a certain disengagement from the world as an identity center – precisely because he is so fully engaged with the fire of God’s love. These two insights highlight what I have come to believe God was asking of me at this time in my spiritual formation - a paradigm shift, both in the way I have viewed myself in relation to Him and in the way I interact with Him in my spiritual life, above all in prayer. And the impulse of this shift has its starting point in Divine Love. A major part of my education at IPF came through a more thorough understanding of the multiple identities of the priest. There are five: beloved son, chaste spouse, spiritual father, spiritual physician and head and shepherd. Here are some insights I learned from each of them. I hope you find them insightful and edifying as you pray for the priests of our Church. A priest must understand that before anything else he is a beloved son of God the Father by virtue of his baptism into Christ (this of course goes for all Christians as well). When God the Father looks upon me, He desires that Christ's sonship be lived out in me. I had so much lived experience outside of the light of faith that it was extremely difficult for me to accept that truth. For a long time I sort of relegated myself to praying for an occasional "mountaintop" spiritual experience. As a beloved son of God the Father, I must imitate Jesus in receiving everything from the Father "in the classroom of dependence." Put another way, "in my spiritual poverty." Put yet another way, "in the midst of my unfulfilled desires." For me this was a crucial insight for understanding better the concept of holiness. Beloved sonship is a fundamental identity for a future priest. It enables a child of God to receive God's love, which must happen before he can communicate it to others. First and foremost, I must know that I'm loved by my Father in Heaven. A second identity is Chaste Spouse. We know that priests are married to the Church. What does that really mean though? And how is it lived out? I must be vigilant, because I'm also a creature of attachment whose affections bond me to others (or things). If I don’t contemplate Christ and have my life deepened and absorbed by Him, I will become self-absorbed and absorbed into the values of the world. And priestly ordination doesn't automatically protect me from absorption pointed in the wrong direction. Jesus, of course, is the example par excellence. The Church is more a bride of Christ than any espoused couple on earth. That also means that a priest is more truly married than a man married sacramentally to a woman. Priestly celibacy is not sterile, but fruitful. Fruitfulness for a celibate priest is measured by spiritual children, meaning a harvest of souls brought closer to God and ultimately to heaven through his service. Priests guide souls to the Cross and receive the love of God there, which opens up the path to spiritual resurrection in their lives. There is no Resurrection without the Cross; thanks to the Resurrection the Cross becomes the Tree of Life, for Jesus and for the rest of us. The love that is first received as Beloved Son, is shared as Chaste Spouse. Being a spouse is also about being attracted. I must be not only be attracted to the love of God and receive that love so that I may share it, but I must also be attracted to souls who want union with God. Out of my love for God and love for souls come a desire to draw others into the communion of the Trinity that I myself experience. Those who want to share in it are fertile (spiritually speaking). This is the heavenly meaning of being a Chaste Spouse. Since the Chaste Spouse is oriented towards the spiritual growth of many souls, he must guard against the desire to be desired by any particular person (insert "attractive woman" here). Although romantic love is an objective good, the celibate priest has already offered his celibacy as a gift to God, and so romantic involvement with a woman would constitute infidelity. Notice that there's a progression to the first three identities. Good fathers are good because they are good sons and good spouses. 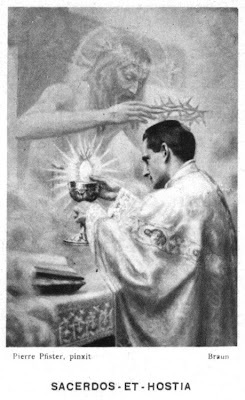 A priest is a father after the image of the Heavenly Father. The heart of spiritual fatherhood is a pastoral charity that says, "I want what is best for you all the time." This is also the true meaning of genuine love. A spiritual father guides others to the Father in the classroom of dependence and encourages them. The Spiritual Physician convinces people who are at the Cross that they're being loved there. He knows how to help a person receive love exactly where they are most wounded spiritually. And the more wounded one is, the more she is attacked in sin, and the more ready she is disposed to believe the lie in sin/suffering that she's not loved, when sickness comes, and the less willing she is to believe in the good news. But Christ can do all things, as Msgr. Tom Richter from the Diocese of Bismarck showed us through his beautiful exegesis of Jesus and the woman at the well. Msgr. Richter taught us how wonderful of a spiritual physician Christ was with the woman at the well. She came to the well at the hottest point of the day to avoid the shame of being seen by others. She was carrying a big burden. 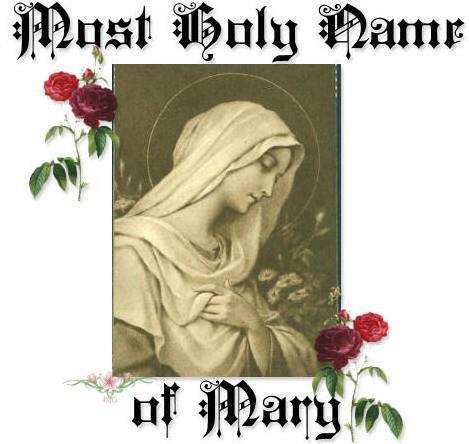 Jesus entered and evoked holy desires in her heart. She became aware of these desires and related them back to Jesus. Then, in a surprising turn of conversation, he said, "Bring your husband.” This part of the Gospel confuses a lot of people but Jesus went right to her place of woundedness, the ball of cancer. Jesus said, "Let’s talk about that." Brilliant! He answered her question: "Ok, here’s how we get at it. I’m a physician. Here’s your cancer. Let’s deal with it." And the very thing that had filled her life with shame no longer did. She ran off liberated. She was no longer self-focused in her misery. Instead, she joyfully ran off to tell others in the village about this Spiritual Physician. A spiritual father is comfortable with the human mess. He’s not shocked in the confessional. He’s a calming presence in the midst of the human mess. He assures people that God is in control here. A spiritual father has a disdainful respect for spiritual disease (sin). The kind of respect that an epidemiologist has for a vial of bubonic plague in the lab. Evil is real. Sin is real. But Jesus is not intimidated by sin, and neither should the priest be as a spiritual physician. This is an identity specific to ministerial priesthood. It's about governance and obedience, particularly obedience predicated upon the desire to serve God through the Church. And guided as well by pastoral charity. A shepherd guides his flock towards a destination. The priest heals, teaches, feeds, forgives, encourages, corrects and consoles with the overriding purpose of leading souls to receive love at the Cross. It's about leading souls to the Resurrection via the Crucifixion. So that all the people can be united with the true Christ, who then offers all to the Father so that the Father can be glorified. That’s the ultimate end of all of this. The two vices opposed to true pastoral charity as exhibited by the shepherd are hardness of heart and false compassion. Jesus was never mean, and the priest should imitate him. There were times he was indignant or angry on account of injustice, but he was never mean. His anger was above all directed at hypocrisy. The most personally liberating insight I received from my time at IPF was how my tendency towards perfectionism and self-condemnation affected both my disposition at prayer and my manner of praying. I remember raising a question in class to Msgr. Richter about experiencing doubts about God's love for us due to our sinfulness. He was very direct with me. "God the Father doesn't love Jesus because He is sinless. He loves him because because Jesus is His Son!" With that single statement Msgr. Richter exposed my personal brand of Pelagianism. Pelagianism was an ancient heresy which basically posited that one's relationship with God flows from his or her own doing. I didn't know how much of a Pelagian I was in my prayer and spirituality until I came to IPF. My goodness doesn't make God love me. That's a trap. I had unwittingly allowed my perfectionism to creep into my faith. It's not "I act and God responds to me." It's "God acts and I respond." More specific to my case, "God loves and I receive His love." During my time at IPF, I came to see more and more the value on meditating upon the various ways in which God acts and the various ways (good and bad) that I am capable of responding to Him (in a spirit of faith, for example). incurvatus en se. Translated directly from the Latin it means "curved in on oneself." Self-focus, in other words. Practiced in prayer, it means, as Mgsr. Richter aptly put it, "Trapped in your head thinking about yourself to yourself, talking to yourself about yourself." Another time he used the phrase "navel-gazing." IT hit me that I'm often a major-league navel-gazer during my holy hours. The enemy is all about incurvatus en se. He wants to do everything in his power to take us out of the classroom of dependence, to take our focus off the Trinity and put it on our own navels. I also learned that we are most prone to self-focus in the place of our greatest wounds. All the more reason to bring it to God for healing if it's a place from which it's easy for us to act out in sinful ways. This was tremendously helpful insight that will also serve me well in future pastoral situations. I especially love that second one by St. Paul. He encourages us to honestly relate everything to God in prayer, which is the key to opening ourselves to receive Christ's peace. Gotta love St. Paul, the simultaneous optimist and realist. This part about relating is critical. The enemy is always trying to encourage us towards incurvatus en se, which inhibits us in relating our deep desires to God. We can foolishly carry burdens in our hearts for days, weeks, months when relating them to Jesus honestly in prayer provides such a relief. Original sin gave us dullness of heart which can breed a lack of faith that prevents us from going to the Lord and honestly relating our thoughts, feelings and desires to Him, but that is precisely what Jesus and Mary did and it is what we are called to do. In prayer is where we receive our consolation and encouragement from above. In spiritual direction, Fr. Scott Traynor taught me that the two most important things in prayer are honesty and consistency. Honesty meaning coming to Him as I am. Consistency meaning relating everything that comes up in my heart. A spiritual way of life heavily emphasized at IPF that has assisted me with handling anxiety is St. Ignatius of Loyola's Discernment of Spirits. They make up a section of his famous Spiritual Exercises, which have influenced countless people for 500 years. The Discernment of Spirits is a list of 14 guidelines for keeping our spiritual pulse and its connection with positive and negative spiritual movements. Fr. Tim Gallagher OMV, an expert on Ignatian spirituality who was also with us for the summer, defines it far better than I could - Awareness of the contrasting spiritual movements of the heart, coupled with an effort to understand and respond wisely to them. As is typical for my update letters, this is getting long so I will just mention a final word about Pope Francis. Wow, isn't he fantastic? I thought the same of Pope Benedict as I became more familiar with him, and I wrote in a prior email about how much Pope Benedict cares about our spiritual and human formation in seminary. But Pope Francis possesses in the spoken word the kind of profundity of thought that Pope Benedict possesses in his writing - rich, penetrating and infused with charity, yet using very simple language as well. May he serve God and the Church here on earth for many more years! At a time when many Catholics are leaving the Church and more and more people are treating the Church with cynicism and ridicule, I have felt Jesus speaking through Pope Francis the words I am with you always. God bless you all and thank you for your support and prayers!! 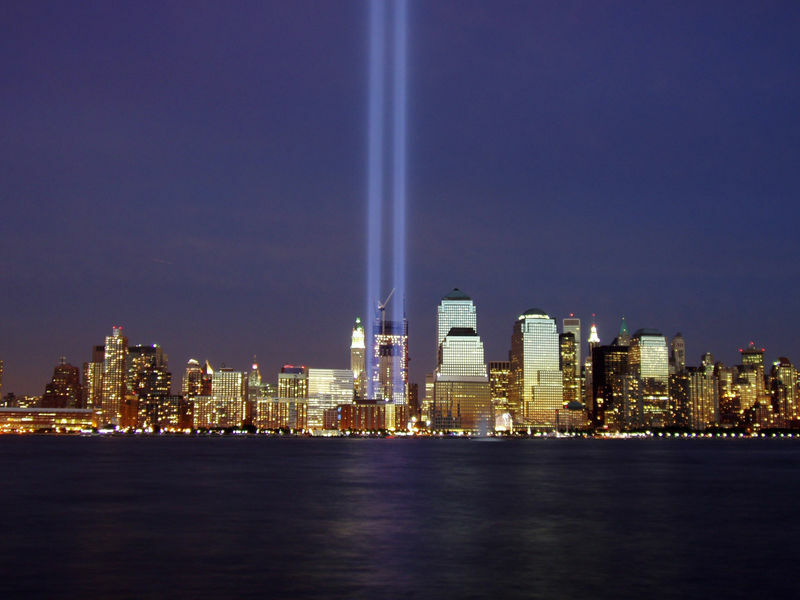 The victims of the September 111th attack and those of the Bengazi attack were remembered at Mass this morning. We prayed for the conversion of the terrorists. Eternal rest grant unto them O Lord and may Your perpetual light shine upon them. 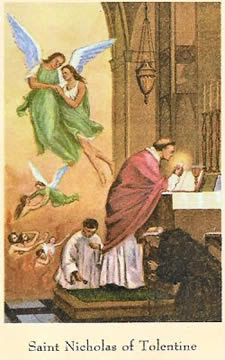 Today is the feast of St. Nicholas of Tolentino, who had a great love for the Holy Souls. He would offer Mass, pray and do penance for them so they could more quickly enter Heaven. Because many Catholics have forgotten about the souls in Purgatory, except when November 2nd - All Souls Day - comes around, St. Nicholas can teach a valuable lesson. Let us pray for our dearly departed loved ones today and ask St. Nicholas to remember them. Prayer is below. a time of purification, applying to them the spiritual treasurers of your holy Church. for our beloved dead, especially _____.